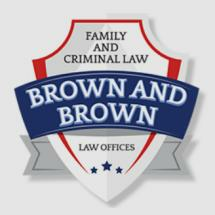 Together our attorneys offer you almost eight decades of combined experience. Whether it is a simple or complex divorce case, child support issues or serious criminal charges, we can help you find a solution that works for you. Our attorneys are team players who care about your goals and objectives. We don't make a decision that doesn't involve you first. As leaders in our field, we take pride in the guidance we can provide you during a high-stakes case. We have a reputation for our straightforward approach: you will always know what to expect when working with us. Through our commitment to you as your legal representatives, we strive to offer the highest quality of service and nothing less. For this reason, we have chosen to limit the scope of our practice, ensuring that we can deliver the personalized attention your case needs. To get to know our firm, what we do and how our lawyers can help you, please schedule a confidential consultation with us. We are also able to provide services to Spanish-speaking clients. Hablamos español! Give us a call at 210-354-2662 to make an appointment today. Jean Brown is truly one of the best lawyers. Always fighting for what is best. Considerate, professional, understanding, passionate, experienced and always willing to work with you. Jean and her staff will be your rock in your most trying times. Highly recommend.